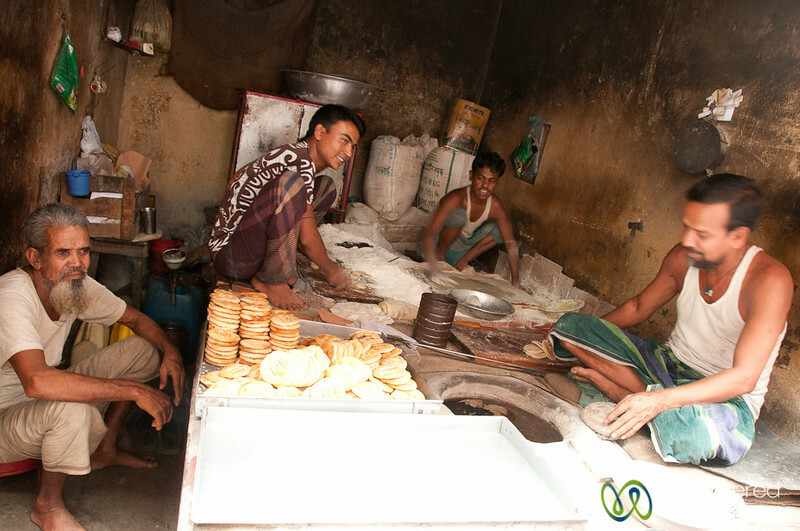 These traditional biscuits are baked in a tandoor oven. The result is very flaky and crispy, but rather like a thick saltine in taste. Taken in old Dhaka, Bangladesh.